Last week attention turned to locally-produced scripted shows with new and returning titles. 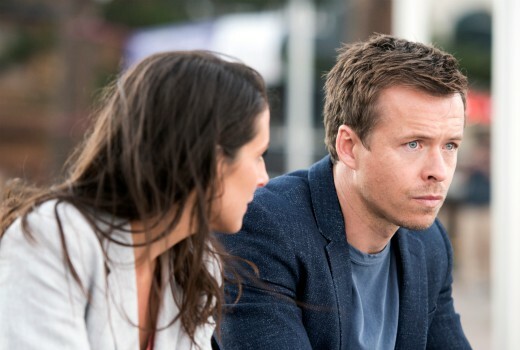 Jack Irish was the top local drama of the week, leading ABC at 728,000 viewers. Home and Away (669,000), Doctor Doctor (665,000), All Aussie Adventures (635,000), True Story with Hamish & Andy (632,000) followed. Newcomer Bite Club (510,000) was neck and neck with 800 Words (506,000). Street Smart (232,000), Dead Lucky (154,000) and Neighbours (133,000) were well behind. No doubt all will rise given it is the genre Timeshifting loves most. Elsewhere The Bachelor is off to a good start for TEN. Nine led in primary channel share but Seven scored yet another week thanks to multichannels. Unusually TEN trailed ABC in primary share but pipped them in network share, despite having one less channel. Seven won Sunday, Wednesday, Thursday, Friday and Saturday. Nine won Monday and Tuesday. ABC bettered TEN on Sunday, Friday & Saturday. Seven dominated in Melbourne, Adelaide & Perth. Nine claimed victory in Sydney & Brissy. Seven: Seven News (Sun: 1.25m), Little Big Shots (878,000), Home and Away (669,000) and Highway Patrol (Ep 2: 631,000). Nine: The Block (1.19m), Nine News (Sun: 1.01m), A Current Affair (754,000) and 60 Minutes (721,000). TEN: The Bachelor (Launch: 940,000), Have You Been Paying Attention? (758,000), Australian Survivor (651,000) and All Aussie Adventures (631,000). ABC: Jack Irish (728,000), ABC News (713,000), Australian Story (679,000) and Four Corners (668,000). SBS: Filthy Rich & Homeless (364,000), Inside Windsor Castle (335,000), Tony Robinson: Britain’s Ancient Tracks (322,000) and Great Indian Railway Journeys (315,000). Thanks David, if I remember I’ll try to see if the time shifting numbers affect the current overnight order in 28 days. Amazing that even with the Block there Seven are still winning. And “dominating” Melbourne too, yet The Block’s best market by a country mile! They need to solve Friday and Saturday – 7 won by over 10% each night, and although that’s nothing exceptional for this year, it gives them such a help if they’re behind.